Hey guys! 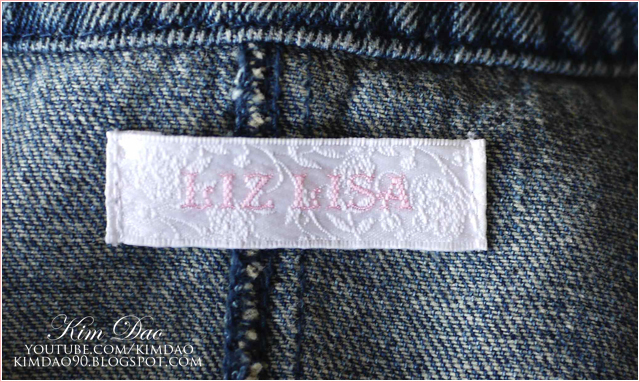 This post is going to be showing the authentic Liz Lisa clothing items I have, with the labels/washing tags so you guy scan see what the authentic tags are like. 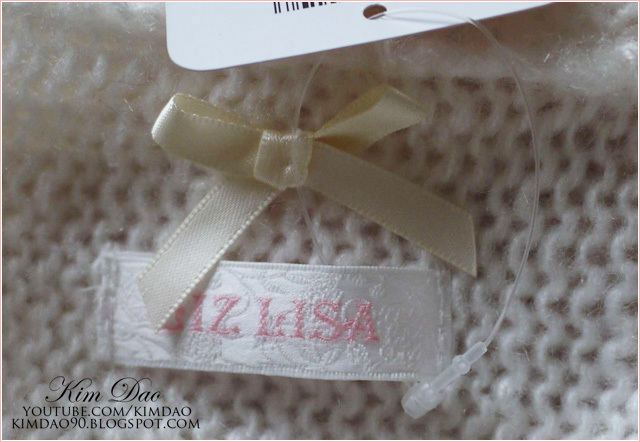 Lately a lot of sites have been opening up selling fake Liz Lisa items, claiming that they get it from the original factory themselves, hence why they can sell a bit cheaper than the retail price. Don't believe any of them, they are all selling fakes. 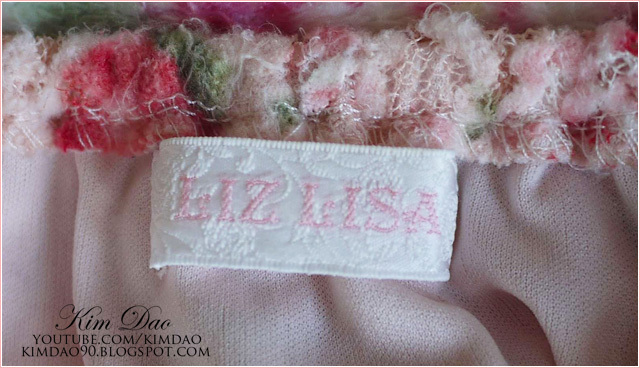 I'm not going to name and shame any websites, but if you guys are thinking of buying from a website and aren't sure if they are selling authentic Liz Lisa or not, feel free to comment on this post and I will reply back asap (usually within 24 hours). 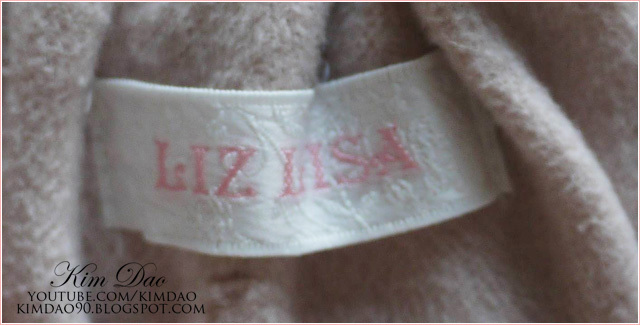 The ONLY way to buy authentic Liz Lisa online is through their official website (using Tenso) or Rakuten. 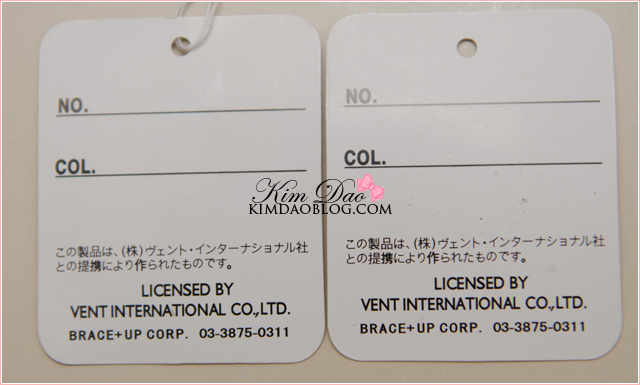 All of my Liz Lisa items were bought in the actual Liz Lisa stores themselves in Japan (a few in Hong Kong) so these are 100% authentic. 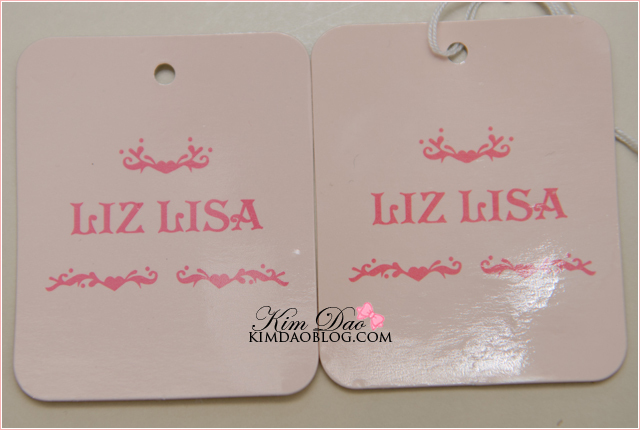 I will do another post like this with my fake Liz Lisa items. I bought this dress when I was in Japan in Osaka, it was on sale so it was 2 pieces for 8000yen (2 pieces for around $100AUD). It's really warm and perfect for winter. I bought this dress last year when I was in Japan in Tokyo. 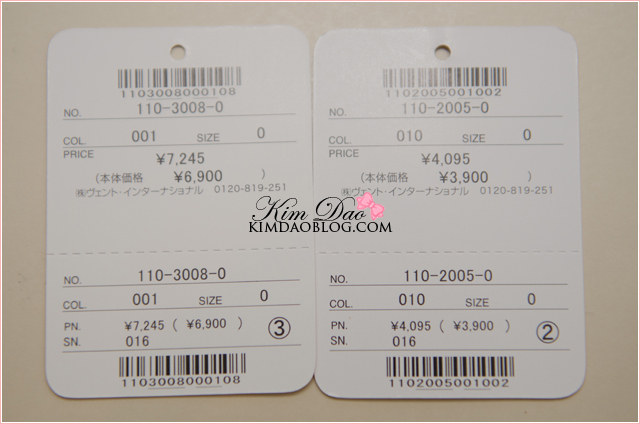 It was part of the Spring 2011 collection so it was full priced. Really love this dress as I can wear this during the day or even at night. 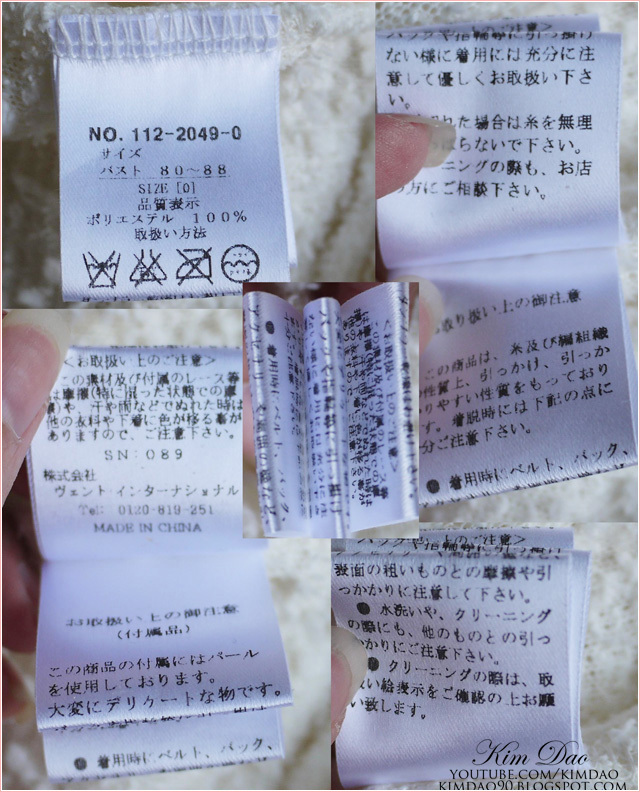 I bought this jacket since they were having a sale last year in Japan in Tokyo. I can't remember exactly what the sale was, but you get the jacket and the dress in the above photo for a cheaper price. Really love this jacket, it's casual but also is a great accessory. I bought this dress from someone in Tokyo after I came back from Japan last year. 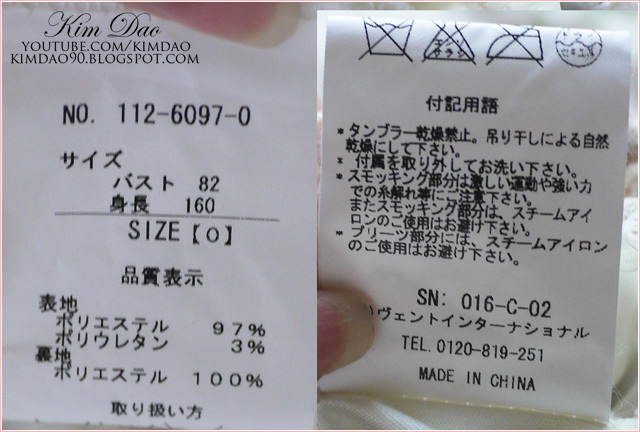 I am 99% sure that this dress is real, however the labels are a bit.. different. 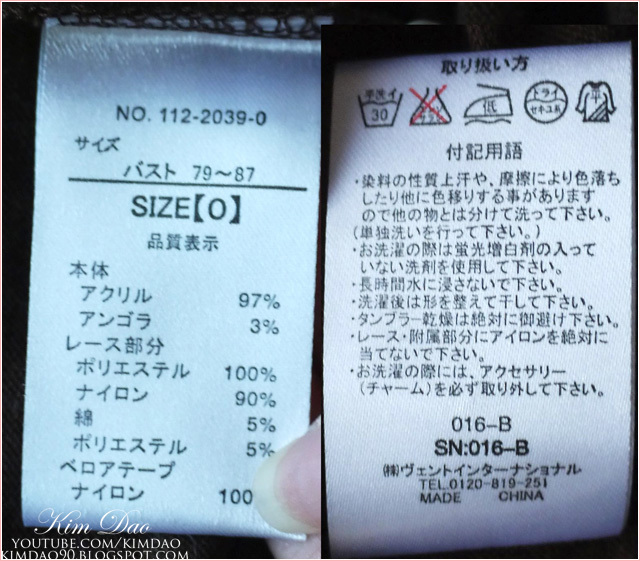 It says "size F" which I'm not sure why.. 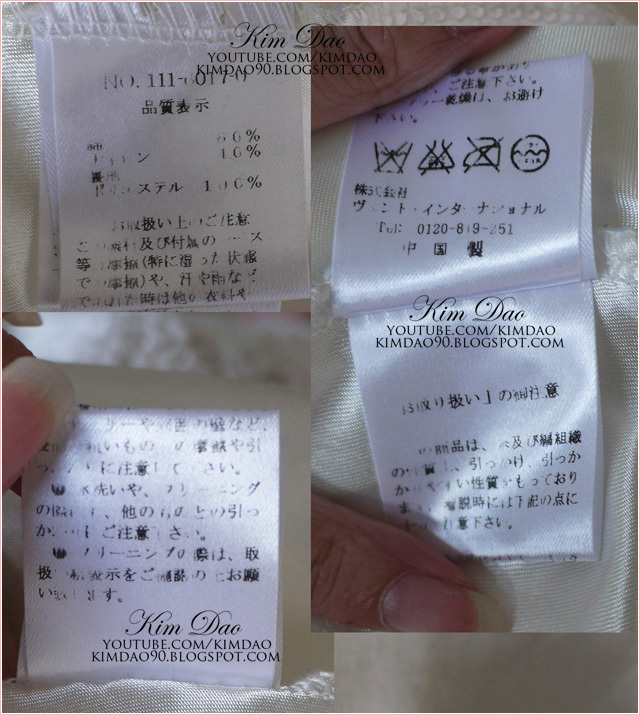 The dress was posted from Tokyo and is good quality so I do think it is real, however I'm not 100% sure. I got this skirt on sale at the beginning of 2012 in Osaka. 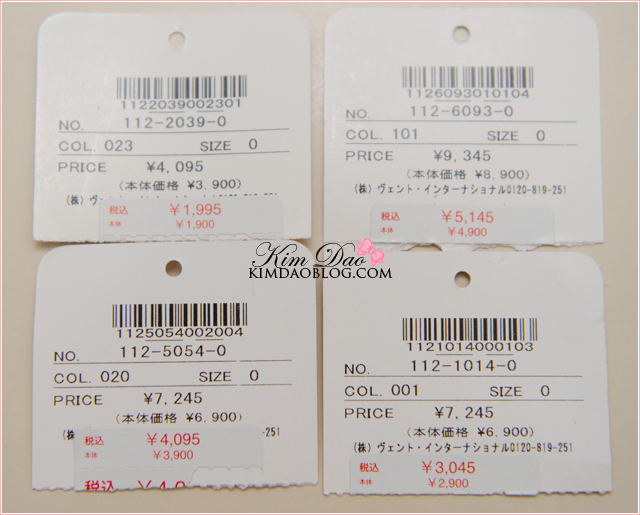 I believe it was two skirts for 5000yen (Approximately 2 skirts/shorts for around $75). This skirt is really short, however it has pants inside it so it's not so bad. It goes well with a lot of Liz Lisa tops. 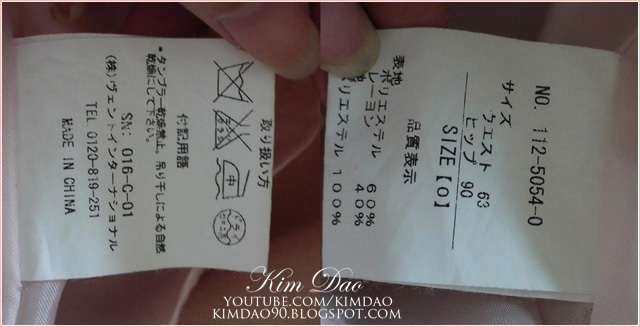 I got this camisole on sale in Japan at the start of 2012 in Osaka. It was down to 2000yen for this (around $28). It's really cute, comes with pompoms at the back (though I never really wear them, they kind of annoy me). 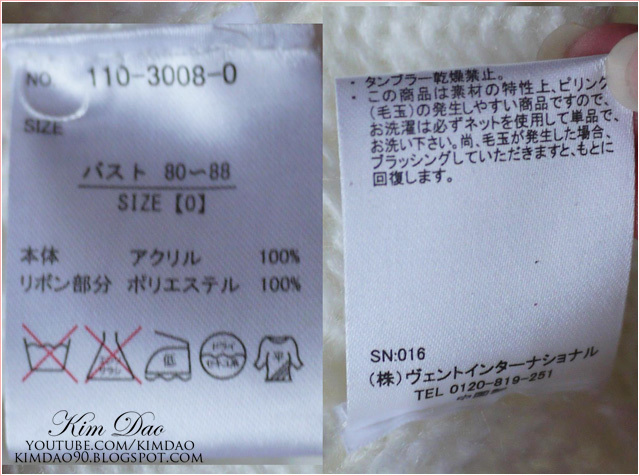 I got this sweater on sale in Japan in 2012 in Tokyo. 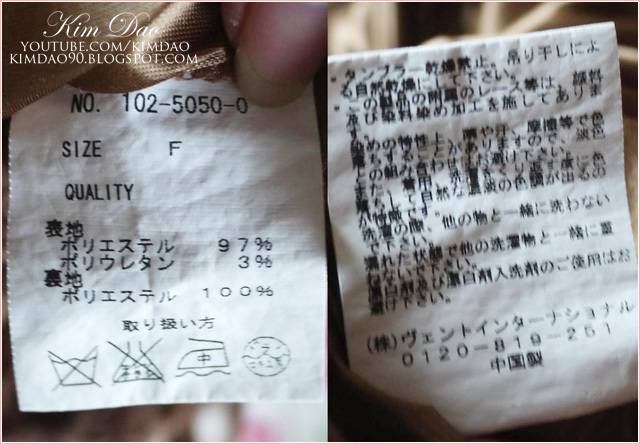 It was 5000yen for 2 pieces of clothing (Approximately $75 for 2 pieces of clothes). I put a photo of the back of the photo to demonstrate when I would actually wear the pompoms. It's a really cute sweater, a bit baggy but I think it's meant to look like that. This sweater is also from the 2 for 5000yen deal. 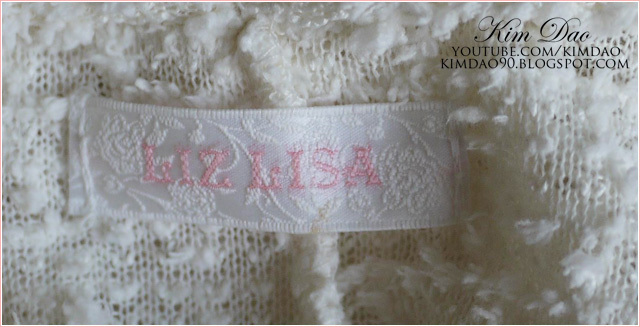 This skirt has to be one of my favourite Liz Lisa pieces of all time. I got this skirt from the Liz Lisa Spring 2011 collection when I was in Japan last year. It was still full priced by I do not regret buying it. Got these shorts this year in Japan, also part of the 2 for 5000yen deal. Absolutely love love love these shorts, they go well with everything! Since I loved the shorts so much, I decided to get them in both colours, Pink and Beige. This skirt is part of the 2 for 5000yen as well. I love this skirt, great for summer or spring! I got this dress as part of the 2 for 8000yen deal. It's super cute, goes well with another Liz Lisa blouse. This blouse is part of the 2 for 5000yen deal. Luckily I waited because they were on sale for 4000yen, a week later then went down to 2500yen. 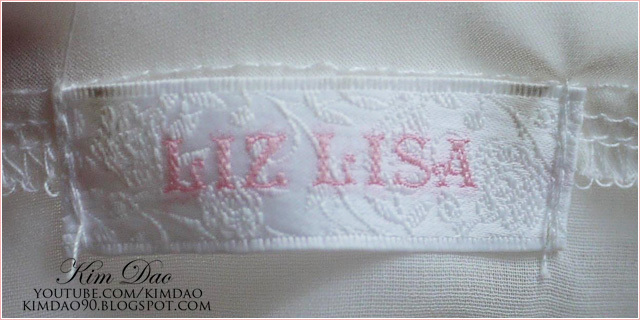 This dress is the dress that made me fall in love with Liz Lisa when I first saw it. 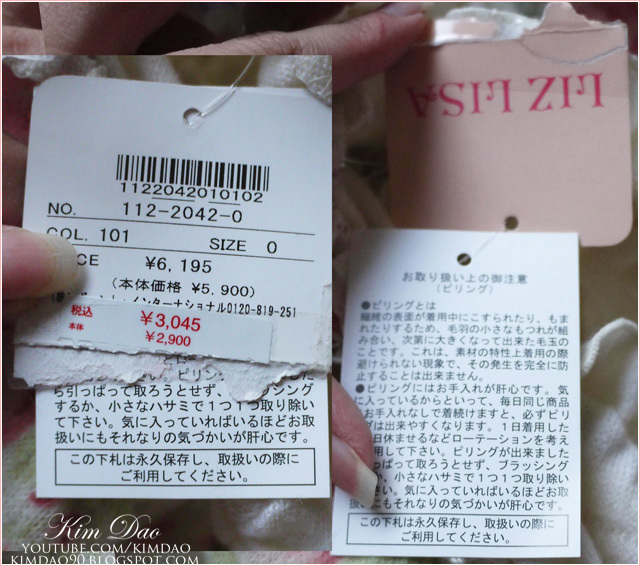 I got this last year in Japan from the spring 2011 collection, so I got it at full price. This dress has been the most replicated dress I think, and a lot of it look authentic too, so beware. 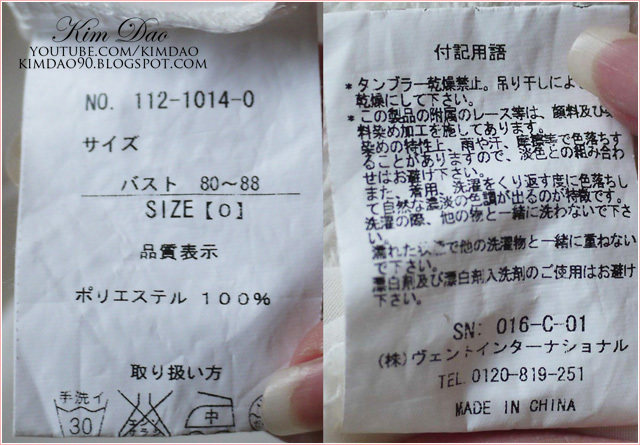 This dress came from the Liz Lisa 2012 Fukubukuro bag that I bought in Hong Kong. I think it was around $50-$60 for a bag with 3 pieces of clothing inside. The dress is my favourite piece, really cute! 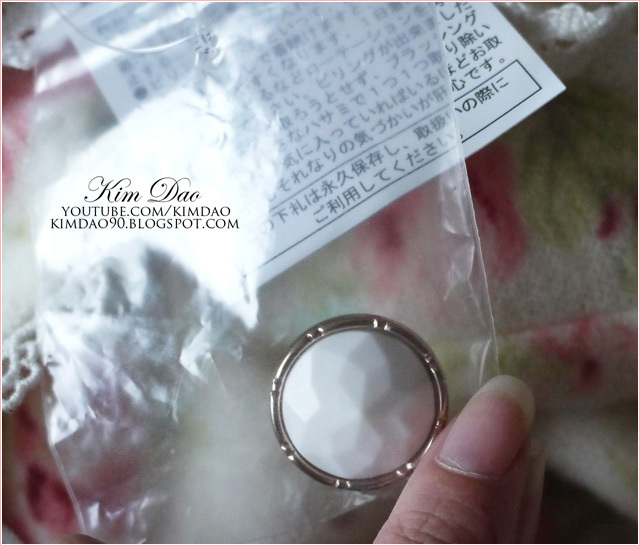 I also got this piece in the 2012 Fukubukuro bag. It's quite average to me, nothing special about it. 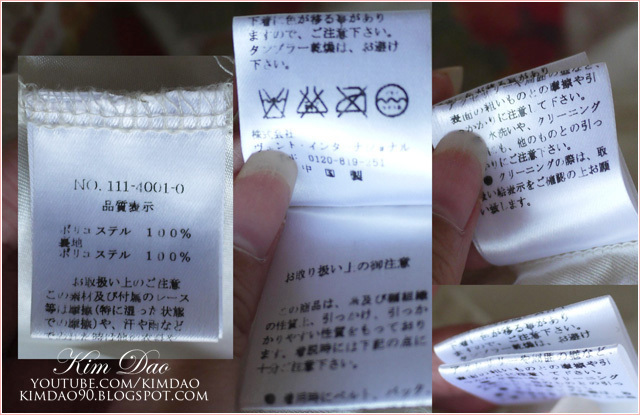 I included the tag on it because I haven't used it yet. 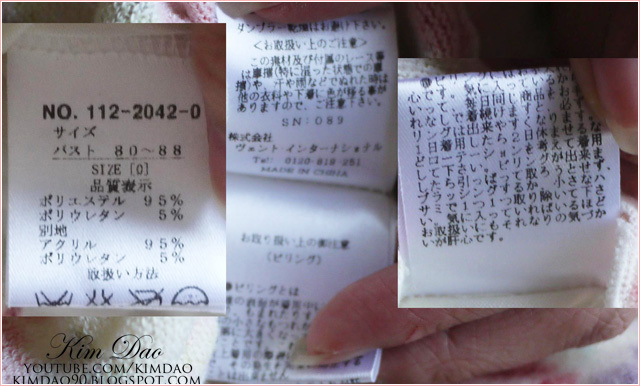 Usually sales assistants rip off the bottom half of the tag when they sell the item, however they didn't in that case because it was just inside the bag. Exactly the same as my white camisole but in brown with the pompoms. 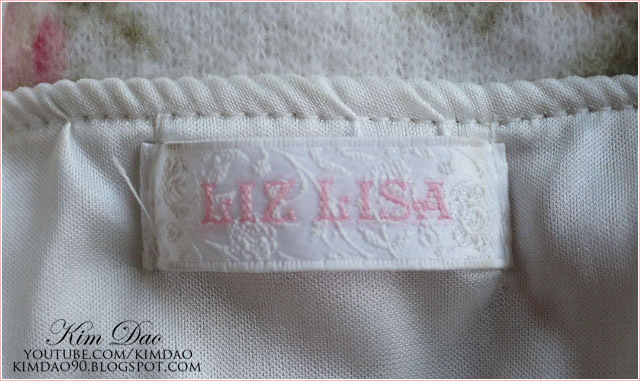 If you are buying a Liz Lisa camisole it usually always has something hanging on the back if it's authentic (usually pompoms or flowers). 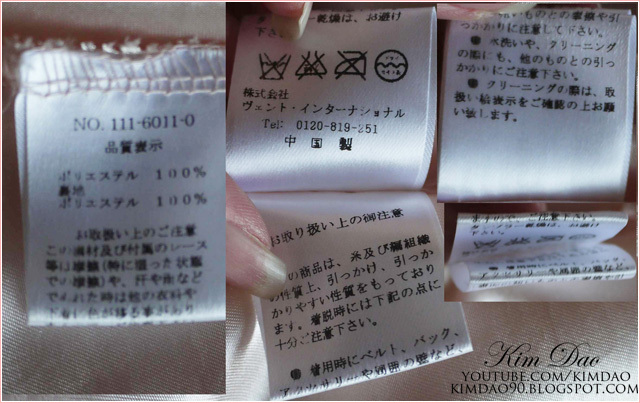 Though there are some camisoles that don't have anything (refer below). Got this skirt in Japan when it was on sale last year. It's really cute and also has shorts inside of it. This is also part of the 2 for 5000yen sale. Really cute bow sweater! This sweater is SO warm! It's a bit heavy and baggy, but I love it. Perfect for winter. 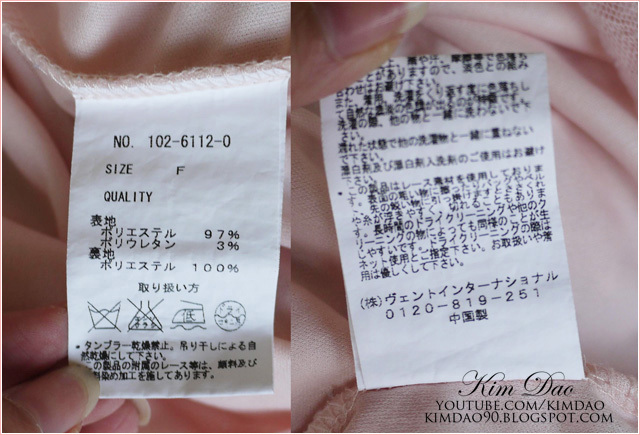 This camisole came with the Liz Lisa Fukubukuro that I got in Hong Kong. 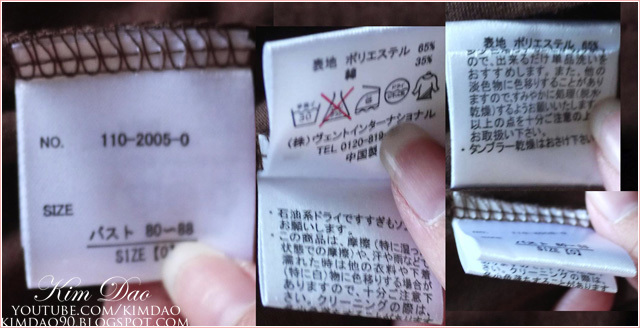 This camisole doesn't have any pompoms at the back. I really loved the clothes *O* The japanese style is so awesomeee! ohhh, so adorable! You look so kawaii in these outfits! Oh! I love your clothing^^! 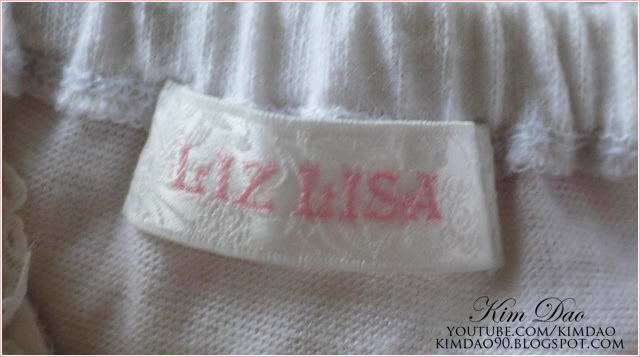 I sent you a mail of Liz lisa dress picture that I got it from second hand shop in Japan. Let me just say...so many pics, so many clothes, I'm so jealous. 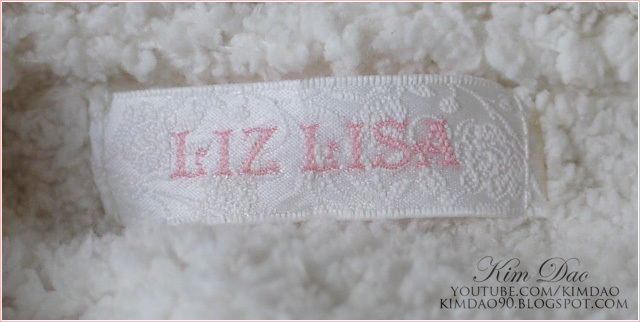 You look great though; it feels just like I'm looking at the Liz Lisa site. 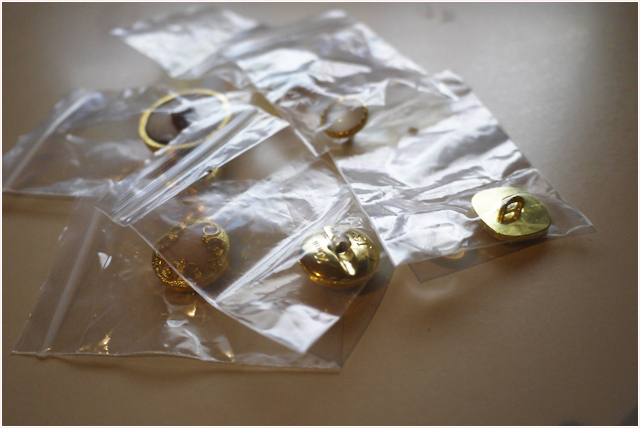 I wish I could get all this Liz Lisa. Thanks for the compilation list as well, with all the tags. 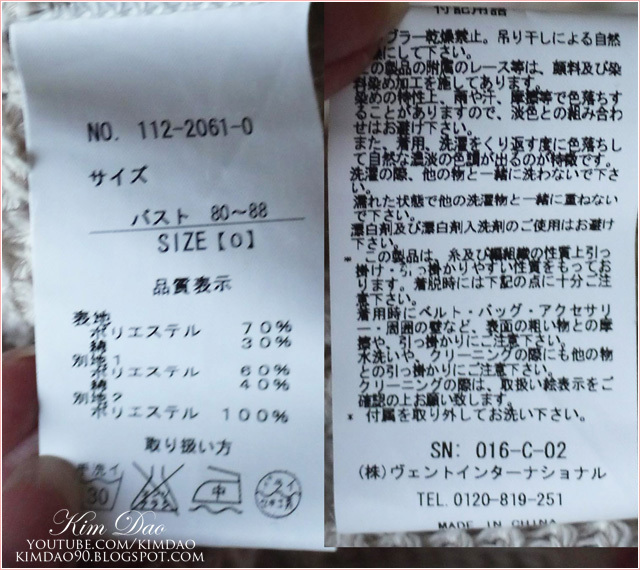 I noticed on the website they usually include measurements for the clothes (different depending on the item), yet on the washtag, they all have the same measurements? I don't understand that. My favorite pics are: 7, 8, 9, and 17-22, if I counted correctly lol. My favorite items are the winter collection camisole, the winter collection top (i have the similar looking model, but plaid printed), fukubukuro dress, the blue winter collection skirt. The first dress just looks wonderful on you. Oh, and the shoes are darling; I'd ask where they came from if I thought the place stocked my size, XD. Ahhh u look super cute in every outfit!! 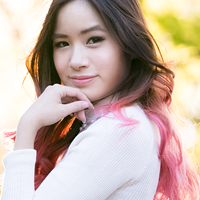 I wish I could look like you! 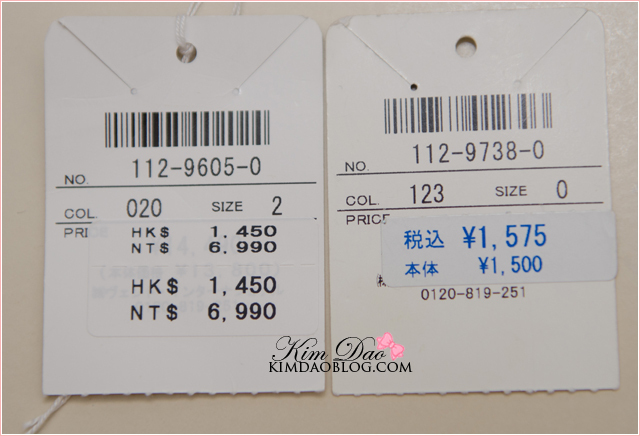 ^o^ just wondering...when is the sale season in Japan?? 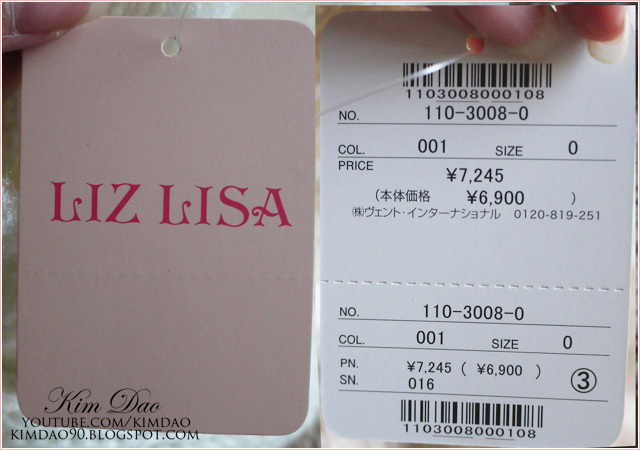 where can I buy Liz Lisa in Japan? Ahhh u look soo pretty! 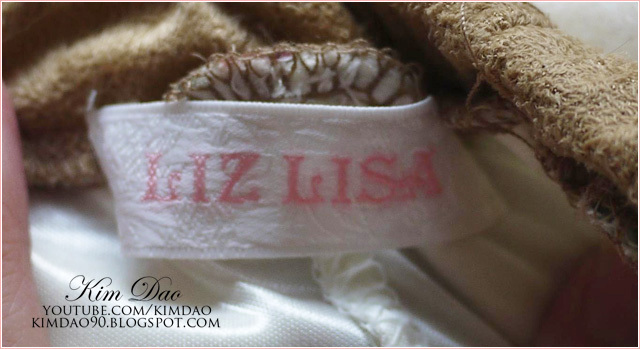 that dress that ur unsure of, i have "liz lisa" dresses with that same wash tag, im also unsure if its liz lisa, but the quality seems good. 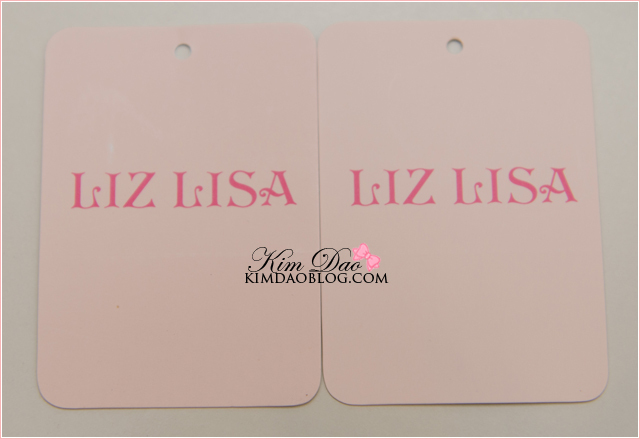 May I know u hv bought those liz lisa at HK? 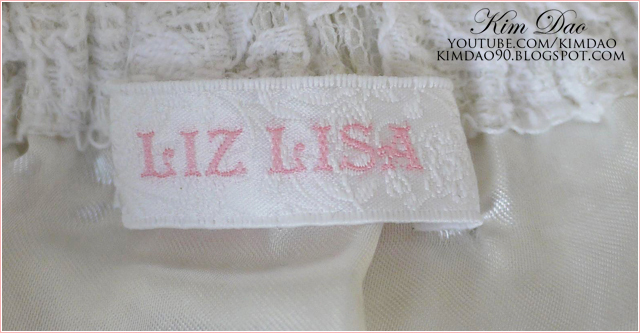 I m gking there in 2 weeks time and would love to buy liz lisa. 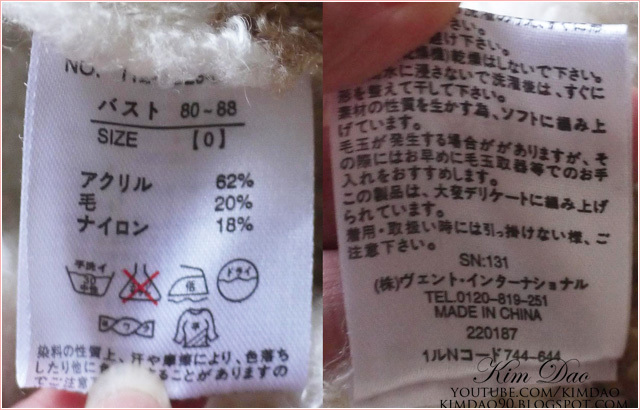 I'd like to buy some Liz Lisa from Global Rakuten, and I'm just checking whether their store "Stylife" is genuine. I'm too nervous to use Tenso, so I thought this would be an easier option. But I also don't want to be ripped off!! 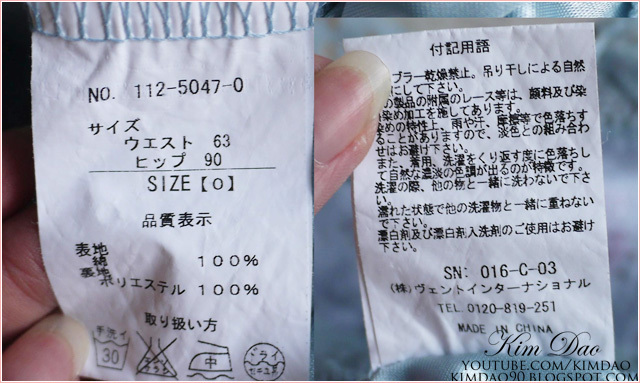 Find out poly viscose latest Design clothes and other poly viscose, karandi fabric, khaddar fabric, lawn dresses stitching designs and white linen suit. Find out more: binilyas .